Mark Anchor Albert and Associates have over 85 years of litigation and trial experience at the highest levels of their profession. Mr. Albert, in particular, brings over 25 years of experience and expertise in complex business litigation, trials and related appeals, that include many of the largest and most complicated business lawsuits of the last two decades. Mr. Albert has opposed the largest, best-funded, and prestigious law firms in the nation, on the plaintiff side and the defense side -- against whom he has obtained repeated successes in very difficult cases. Mr. Albert has been instrumental in recovering nearly $500 million for his clients and in defeating nearly $5 billion in claims asserted against his clients. Given their acknowledged and demonstrated experience and success handling very large, complex and high-stakes cases, Mark Anchor Albert and Associates are adept at achieving their clients' objectives much more efficiently and economically than "big firm" litigation departments typically would do. A partial listing of previous cases in which Mark Anchor Albert and Associates have played the lead or significant roles, with accompanying links to more fulsome descriptions of them, are set forth below. In their capacity as plaintiff's attorneys and insurance coverage counsel, Mark Anchor Albert and Associates have played central roles in obtaining large victories for their clients in both state and federal courts as well as high stakes arbitration proceedings. In their capacity as defense counsel, Mark Anchor Albert and Associates have obtained repeated victories for their clients facing large liability exposures, often succeeding in having cases dismissed through dispositive motions for summary judgment, for dismissal, on demurrer, or otherwise. The business and tort litigators at Mark Anchor Albert and Associates also have been instrumental in negotiating complex settlements on steeply discounted terms for clients facing large liability exposures. At other times, they have been instrumental in negotiating large settlements for clients who have been harmed by fraud, contractual breaches, or other misconduct at the hands of unscrupulous businesses and individuals. Given their acknowledged and demonstrated experience and success handling very large, complex and high-stakes cases, Mark Anchor Albert and Associates are adept at achieving their clients' objectives much more efficiently and economically than "big firm" litigation departments typically would do. A partial listing of previous cases in which Mark Anchor Albert and Associates have played the lead or significant roles, with accompanying links to more fulsome descriptions of them, are set forth below. Represented the McDonough Family, Family Trusts, and Family Partnerships in a $6 million legal malpractice action against its former law firm for failure to raise a clearly meritorious claim at trial that resulted in a loss of a strong case. Represented an international banking and financial institution in analyzing and prosecuting bankruptcy malpractice claims against a prominent bankruptcy boutique for failing to seek relief from the automatic stay provisions of 11 U.S.C. § 362(a) et seq. in connection with a confirmed Chapter 11 Plan of Reorganization regarding a hotel in Madera County, California. Advised the Chapter 11 Trustee in connection with the Thomas Kindade Co. bankruptcy regarding bankruptcy malpractice claims arising from the failure of bankruptcy counsel to correctly identify in the applicable Plan of Reorganization the true owner of a key-man life insurance policy that was a critical asset of the debtor's estate. Represented sophisticated real estate investors in challenging a large commission claim by Coldwell Banker based on the contested claim that the sale of the investment property occurred during a "continuation of the tenancy" under a prior exclusive listing agreement. Represented the dissatisfied clients of a prominent architectural firm which the clients claimed provided deficient and faulty architectural plans and drawings in connection with a large residential redevelopment project in Southern California. Represented First Community Bancorp in defense of a class action by investors in an elaborate Ponzi scheme, who alleged that the bank aided and abetted the perpetrators of the scheme by allegedly turning a blind eye to obvious “red flags” and badges of fraud, including fraudulent transfers and conveyances.Succeeded in having the case dismissed after extensive motion practice. Represented a prominent insurance and financial services company and its Chief Executive Officer in five coordinated state court actions alleging collectively over $3 million in damages for various alleged statutory and common law violations, including violation of state securities and unfair competition statutes, regarding the sale of Diversified Lending Group(“DLG”) investment contracts. Defended against fraudulent transfer and recoupment claims in federal district court brought by the Receiver of the DLG estate.Defended against related regulatory and administrative proceedings initiated by the California Insurance Commission and FINRA. As the family attorney for a prominent Los Angeles developer and hotelier, supervised and monitored the legal work and settlement closing of dozens of attorneys in connection with a multi-million-dollar settlement of complex construction defect claims in the Central Civil West Division of the Los Angeles Superior Court. Successfully negotiated a favorable resolution for the clients, resulting in $250,000 in additional recoveries for the clients. Represented one of California’s largest and most established biological laboratories in a defamation, trade secrets, and unfair competition action against a former senior executive who stole customer lists and other proprietary information to set up a competing business. Succeeded in forcing the former executive to shut down the improper competing business and stipulating to a non-competition injunction. Thomson Auto Group LLC v. Mario H. Ferla et al. Represented, as defense counsel, a group of former officers and directors of two bankrupt corporations in a RICO lawsuit brought a large institutional investor in the United States District Court for the District of New Jersey. Successfully moved to transfer the action to the United States Bankruptcy Court for the Central District of California on bankruptcy “related to” grounds, and obtained a nuisance value settlement, after filing a motion to dismiss the RICO claims, with no contribution by the defendants, but instead paid entirely by their Directors and Officers liability insurance carrier, together with a public recantation by the plaintiff of any wrongdoing by the defendants. Represented as both plaintiffs' counsel and as defense counsel former officers and directors of two Chapter 11 debtors, Chamco and ZXNA, in three state law adversary actions removed from the New Jersey Chancery Court to the United States Bankruptcy Court for the Central District of California. Successfully opposed remand and abstention under 28 U.S.C. §§ 1334 and 1452.Negotiated no-Dollar settlement with the Chapter 11 United States Trustee of all claims or potential claims that were or could have been asserted against the officers and directors. As a result of several months of adversarial negotiations with a senior United States Trustee and his national counsel, motion practice, and evidentiary hearing in the United States Bankruptcy Court for the Central District of California, We obtained a full settlement and release of all claims by the debtor and the United States Trustee against the debtor's former officers and directors. The clients paid no money to settle the case, which alleged over $100 million in damages, obtaining instead an evidentiary finding by the United States Trustee of the factual innocence of his clients. In an elder abuse and predatory lending case against a major subprime lender, We succeeded in not only extinguishing the substantial debt owed on the subject property, but also obtained hundreds of thousands of dollars for his client, the heir and successor-in-interest to the defrauded elderly borrower. In a securities fraud action brought on behalf of the largest individual shareholder of a publicly-traded telecommunications company, We developed in discovery theories of liability based on technical regulatory violations and fiduciary disclosure breaches that resulted in a confidential near-seven-figure recovery for his client, in the face of very serious defenses by one of the most preeminent national law firms. In an insurance bad faith action against a national financial services holding company and its wholly-owned property and casualty insurance company, We obtained not only defense fee and expense funding for his clients, but a substantial, confidential monetary recovery for each of them in the face of the most determined challenges by national defense counsel. SEC v. Diversified Lending Group, Applied Equities, et al. Represented, as plaintiffs' counsel, project manager and mechanic's lien claimants in connection with major residential redevelopment project in Malibu subject a receivership action in the United States District Court arising from a ponzi scheme prosecuted by the SEC. Prepared and filed mechanic's liens and prosecuted them to a successful resolution. Negotiated favorable settlement with the Receiver and obtained approval of the Settlement by the United States District Court for the Central District of California. In a national class action seeking to recover damages for deceptive advertising, breach of contract and consumer fraud, We had primary responsibility for the successful briefing of critical motions to remand the case to state court under ERISA, for class certification, for approval of class notice, opposing class objectors, requiring class objectors to post bonds, for final approval of a national class settlement, and related relief. The settlement resulted in more than $93 million in settlement funds for victimized consumers. Lead defense team member responsible for the defense of the Roman Catholic Archdiocese of Los Angeles, a corporation sole, in over 600 cases alleging sexual abuse, negligent supervision, respondeat superior, battery and other claims of economic and personal injuries. Settlement “czar” responsible for closing $60 million settlement of 45 clergy sexual abuse cases in 2006 and $660 million settlement of 517 clergy sexual abuse cases in 2007 and 2008. Negotiated settlements with multiple insurance carriers for the Los Angeles Archdiocese.Prepared key motions in limine in connection with various clergy trials.Prepared good faith motions for settled cases.Formulated fact and evidence-gathering plan for constitutional challenge to SB 1774, the clergy sexual abuse revival statute. Primary role in researching and preparing Los Angeles Archdiocese's Report to the People of God: Clergy Sexual Abuse, Archdiocese of Los Angeles, 1930-2003 ( http://www.bishop-accountability.org/usccb/natureandscope/dioceses/reports/losangelesca-rpt.pdf ). Team leader in 50 million person class action against State Farm Mutual Automobile Insurance Co. alleging bad faith hoarding of surplus capital and withholding of policyholder dividends.Briefed and second-chaired all aspects of motion practice and related appellate practice leading to several significant appellate decisions, including State Farm Mut. Auto Ins. Co. v. Superior Court , 114 Cal. App. 4th 434 (2003) (California courts properly can try nationwide class against Illinois insurer for bad faith refusal to pay dividends, subject to the Illinois business judgment rule), and State Farm Mut. Ins. Co. v. Superior Court, 121 Cal. App. 4th 490 (2004) (defendant who prevailed on a choice of law question in a writ proceeding is not entitled to peremptorily challenge trial judge on remittitur). Retained, briefed and assisted in development of expert testimony of actuaries, accountants, corporate governance experts and conflict-of-laws experts. Prepared for and defended depositions of representative plaintiffs. Primary responsibility for analysis and briefing of successful motions to dismiss RICO and antitrust claims by StreamCast Networks against Sharman Networks and various other defendants arising from technology licensing issues, including Streamcast Networks, Inc. v. Skype Techs., S.A. , 2007 U.S. Dist. LEXIS 96582 (C.D. Cal. Jan. 18, 2007). 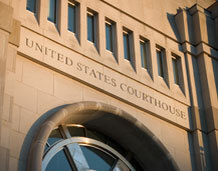 Primary responsibility for analysis and briefing successful motion to dismiss antitrust claims against various defendants, including Streamcast Networks, Inc. v. Skype Techs., S.A. , 2006 U.S. Dist. LEXIS 97392 (C.D. Cal. Sept. 14, 2006). Senior team member in preparing cross-claims and opposing summary judgment in the peer-to-peer file sharing network copyright infringement litigation involving the recorded music and motion picture industries, including MGM Studios, Inc. v. Grokster, Ltd. , 454 F. Supp. 2d 966, 979 (C.D. Cal. 2006). Briefed and argued before the U.S. District Court for the Northern District of California motion by patentee for certification of an international defendant "issues class" under Fed. R. Civ. Proc. 23(c)(4) of patent infringers using streaming technology on the Internet. Briefed and argued before the United States Judicial Panel on Multidistrict Litigation various successful motions to transfer multiple patent infringement actions in multiple districts in several different Circuits to the Northern District of California. Primary responsibility for motion to dismiss patentee’s counterclaims, resulting in In re Acacia Media Techs. Corp. , 2005 U.S. Dist. LEXIS 37009 (N.D. Cal. July 19, 2005). Significant role in drafting of complaints by various insurance companies, pension funds, bond funds and fund managers against various Wall Street investment banks and their affiliates in connection with their sale of fraudulently-inflated Enron debt securities, equities and off-balance sheet debt instruments. Significant role in researching, analyzing and drafting remand motions in the various state actions removed to federal court by the investment bank defendants on ground of "related to" bankruptcy jurisdiction, resulting in favorable published opinions. Transamerica Financial Life Ins. Co. v. Merrill Lynch & Co. Represented life insurance company and related funds in prosecuting securities fraud claims against investment banks that sold Enron-related securities by means of offering circulars that contained material misstatements and omissions. Obtained very favorable settlement for Plaintiffs after defeating Defendants’ challenges to the complaint. AUSA Life Ins. Co. v. Citigroup, Inc. Represented life insurance company and related funds in asserting claims for rescission of bond purchases from initial purchasers and broker dealers who misrepresented the risks of the bonds. Achieved very favorable settlement for Plaintiffs after motion practice. Principal Global Investors v. Citibank, N.A. Represent bond funds and pension funds in prosecuting claims under the federal securities laws and the Iowa Securities Act against investment banks that promoted, offered for sale and sold debt securities by means of prospectuses that were inaccurate and misleading. Obtained very favorable settlement for Plaintiffs after defeating Defendants’ challenges to the complaint. Represented investment group against various broker dealers asserting claims for rescissory relief and damages under the California Securities Act, in connection with various securities that were offered for sale and sold on the basis of inaccurate and misleading information. Team leader in defense of Bergen Brunswig Corporation in multiple consolidated and coordinated securities class action proceedings pending in various district courts across the nation, alleging approximately $1.5 billion in damages against the company. Prepared stipulated motions to transfer, consolidate and coordinate securities actions in the United States District Court for the Central District of California (Santa Ana Division). Briefed and argued successful consolidated motions to dismiss. Obtained dismissal of shareholder derivative action against the company.Prepared opposition to class certification motion. Drafted complaint in intervention in action by GlaxoWellcome, and briefed and argued motion to intervene in circuit court of Harris County, Texas. Team lead in securities fraud and accounting fraud action by Bergen Brunswig Corp. against Counsel Corp., a publicly traded Canadian corporation, arising from Counsel's sale of a major drug distribution subsidiary to Bergen. Retained, supervised and managed team of forensic accountants in analyzing accounting data in support of our claims. Retained economists to assess likely damages.Deposed senior executives of Counsel Corp. in Toronto, Canada. Defended Chairman, CFO and COO of Bergen in deposition. Drafted and argued multiple motions, for discovery orders, for preliminary injunction, and related matters. Primary responsibility for defense of KPMG Peat Marwick and its partners in several related state and federal lawsuits arising from the Orange County bankruptcy, seeking collectively more than $3 billion in damages from our clients. Took and defended dozens of key depositions, including the Managing Director of plaintiff Orange County Water District, key internal auditing and accounting professionals, and outside financial advisors. Drafted successful appellate opposition brief regarding venue transfer order based upon adverse pre-trial publicity. Prepared critical motions, including motions to transfer venue due to prejudicial post-trial publicity, and motions for summary judgment and summary adjudication, as well as important discovery motions.Assisted in defense of motion for proposed international defendant class action of KPMG partners worldwide.Achieved with team a favorable nationwide class settlement before trial. Defended major publicly-traded real estate construction and Development Company and its affiliates in several coordinated and consolidated class action lawsuits involving 12,500 homes throughout the State of Colorado, alleging construction defect, negligence, product liability, and breach of warranty claims, among other theories of recovery. Prepared all discovery, and coordinated technical expert and percipient witness evidence-gathering efforts in opposition to class certification, involving various structural and soils engineers, and other technical and scientific experts. Crafted settlement structure that involved the creation of a captive insurance company, capitalized with insurance proceeds negotiated from both primary and excess carriers. Created a wholly-owned warranty company and a new home repair warranty designed to address qualified claims by homeowners within the statewide settlement class. Defended Western Union and its parent, First Data Corporation, in several related state and federal class action lawsuits arising out of Western Union’s international money transfer businesses. Conceived, developed and implemented national and international evidence-gathering plan and strategies to oppose certification of state and national plaintiff classes, and obtained related expert testimony. Achieved with team favorable nationwide class settlement before trial. Represented owners and developers of high-end luxury condominium project in a lawsuit by the homeowners' association alleging various structural and design defects. Retained and briefed appropriate structural engineers, soils engineers and architects, and other experts. Prepared cross-claims for indemnification and other relief against subcontractors, architects and other professionals involved in the project. Negotiated coverage issues with primary and excess insurers. Successfully positioned the case for mediation and economical resolution. Defended AT&T in several consolidated and coordinated class actions alleging that AT&T sold defective home security products both domestically and internationally.Deposed plaintiffs' forensic accounting and damage experts.Drafted key pre-trial motions.Successfully positioned case for global settlement. Prior to subsequent representation of KPMG, negotiated a $6.3 million settlement from KPMG for erroneous financial statements KPMG had prepared. The client was a major California bank that relied on the faulty financial statements in extending credit to an entity that collapsed when the fraudulent nature of that enterprise came to light. The terms of the settlement and identity of the client are confidential. Defended major healthcare provider in federal lawsuit alleging Medicare fraud and billing abuses in connection with multi-state psychiatric facilities.Prepared pre-trial discovery, discovery motions, and oppositions to discovery motions by plaintiffs. Negotiated comprehensive pre-trial settlement and prepared briefs for successful good faith settlement hearing. Represented The Hearst Corporation at the trial and appellate levels in several highly-publicized challenges by the Sierra Club and other environmentalists to various redevelopment projects in the San Simeon area of the Northern California coast. Marshaled dispositive evidence from engineers, biologists, conservationists, and other scientists in support of the redevelopment project.Defeated the opponents of the redevelopment project at the administrative trial and subsequent writ proceedings. Represented Suzuki Motor Corporation in national Samurai rollover cases.Coordinated national discovery regarding technical documents, design and engineering evidence, and related expert testimony and records.Drafted critical motions that prevented the dissemination of proprietary documents and trade secrets. Defended the senior officers and directors of LIVE Entertainment and its successor company in several consolidated and coordinated federal class action cases alleging violations of federal and state securities laws and common law fraud, arising from alleged accounting irregularities in connection with certain acquisitions and divestitures of subsidiary entities. Briefed and argued successful motions to dismiss the actions for failure to prosecute and for failure to state a claim on res judicata grounds, which resulted in the complete dismissal of all of the actions, with prejudice. Defended LIVE Film & Media Corp., as successor of Vestron, Inc., in a class action suit in New York alleging that Vestron misallocated the proceeds from the sale and licensing of video packages distributed internationally. Prepared the appellate brief challenging an adverse state court ruling. Devised the successful strategy of requesting that the prior bankruptcy case of Vestron be reopened to obtain an injunction by the Bankruptcy Court to stay the state court class action proceeding. Represented foreign-owned California trading company in a fraud and breach of contract lawsuit against an off-shore bank -- BancoComercialArabe -- for failure to honor letters of credit with respect to the importation of tooling machinery from China.As the "first chair” trial attorney, obtained $750,000 verdict against the bank and its directors. Represented the corporate owners and developers of a high-end Beverly Hills shopping and entertainment complex (the Two Rodeo center) in a breach of lease and unlawful detainer action against a corporate tenant which cross-claimed for breach of contract and fraud. As the "first chair" trial attorney, obtained eviction order and money judgment against the tenant after 3-day bench trial. Represented the largest Chinese state-owned construction and engineering corporation in post-trial adversary proceedings in federal court, regarding various construction defect claims and cross-claims arising from a large-scale engineering and development project. Successfully briefed and argued the appeal of a nationwide asset turn-over order by the Bankruptcy Judge. Achieved a favorable discounted settlement after arguing the appeal. Represented paper importer in federal lawsuit involving Brazilian paper manufacturer and United States purchaser alleging that tons of tissue paper imported from Brazil were defective. Handled all discovery and depositions with local and foreign witnesses.Obtained favorable settlement on steeply-discounted terms on the eve of trial. Represented an indigent and disabled African-American senior citizen, as pro bono trial and appellate counsel, in a state court action against certain mortgage loan brokers who attempted to foreclose on his home based upon fraudulently altered documents. Took and defended dozens of depositions. Interfaced with local and federal regulatory officials and prosecutors. Briefed and argued successful opposition to appeal by mortgage loan broker of favorable trial court ruling declining to compel arbitration on grounds of fraud, resulting in an important published decision by the California Court of Appeal, Roland Henry v. Alcove Investments, Inc., 233 Cal. App. 3d 94 (1991). "Second chair" trial attorney injury trial resulting in $1.7 million verdict. Prepared, as pro bono counsel at the request of a United States District Court Judge, the Petition for Habeas Corpus for a notorious death row inmate, resulting in the granting of a new trial because critical exculpatory scientific evidence had been improperly withheld from the defense by the prosecutors. Achieved an important published decision by the California Supreme Court, In re John George Brown, 17 Cal. 4th 873 (1998).